When you wear your favorite cloak, fasten it in historical fashion with the Twisted Medieval Cloak Pin. This penannular brooch has a twisted, open ring as its frame, and its terminals each end in a tapering, ring-wards curl. 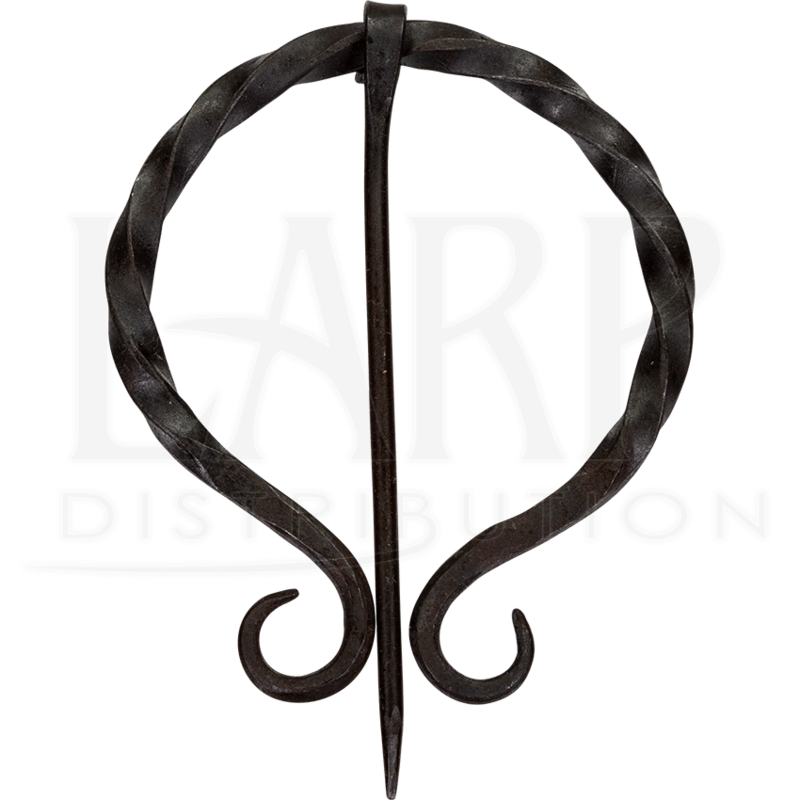 It is handcrafted from wrought iron. The long, captive pin can be moved throughout the ring, and it comes to a point at the end for piercing through the fabric of the garment you wish to wear it with. This open ring cloak pin is perfect for all kinds of looks, from Viking and medieval-inspired to fantasy-themed. 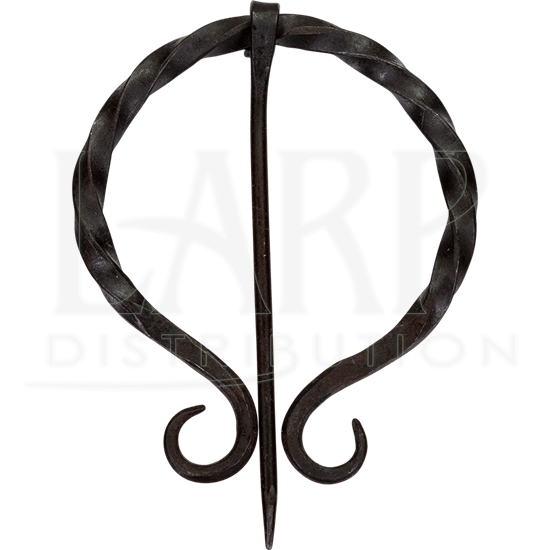 For your next LARP, reenactment, or other costuming occasion, secure your outfit in a way that fits the scene using this twisted iron cloak pin.